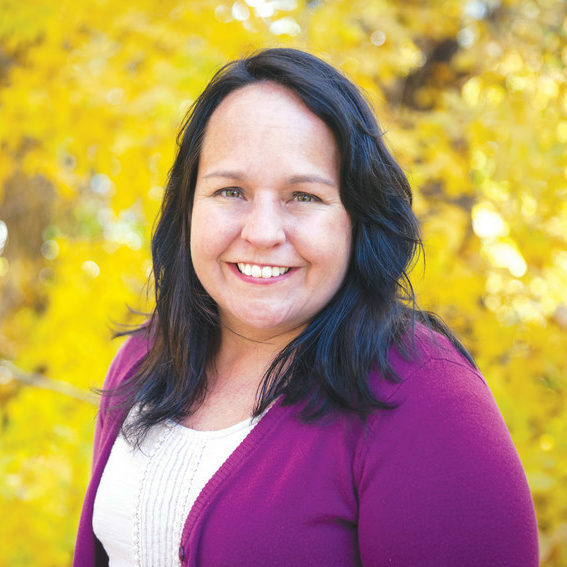 Faith was first elected as a Democrat to the Colorado State House of Representatives in 2014, representing Colorado House District 35. She was re-elected in 2016, and is now running for Colorado State Senate. 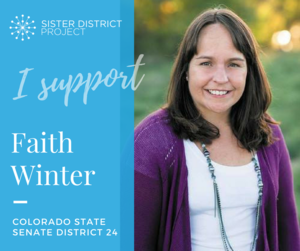 As a State Representative, Faith has worked hard to protect Colorado’s air, land and water and to create more affordable housing. In 2017, she worked on bills to create an affordable housing trust fund and climate change—measures which were ultimately defeated in the State Senate. Read more on Faith&apos;s website. Colorado is a Blue Flip state. Democrats are only one seat away from flipping the state senate! Colorado currently has a Democratic Governor, a Democratic House, and a Republican Senate. However, the governor is term-limited out and a new governor will be elected in November. Right now, Democrats have 17 seats in the Colorado Senate and Republicans have 18 seats. Democrats need to flip one seat to flip the state senate, and turn Colorado into a Democratic trifecta state. Colorado is a Blue Flip state. Democrats are only one seat away from flipping the state senate! Colorado currently has a Democratic Governor, a Democratic House, and a Republican Senate. However, the governor is term-limited out and a new governor will be elected in November. Right now, Democrats have 17 seats in the Colorado Senate and Republicans have 18 seats. Democrats need to flip one seat to flip the state senate, and turn Colorado into a Democratic trifecta state.